Shirts With Random Triangles: Whiskey Tango Foxtrot Features Tina Fey As A Journalist Covering War In Afghanistan. Whiskey Tango Foxtrot stars Fey as Baker, along with Margot Robbie (Focus, The Wolf on Wall Street) as a fellow female war journalist. Also staring in the film are Billy Bob Thornton, Martin Freeman (The Hobbit films), Josh Charles (The Good Wife), and Alfred Molina (Dr. Octopus in Spider Man 2). It's directed by the team of Glenn Ficarra and John Requa (Focus). 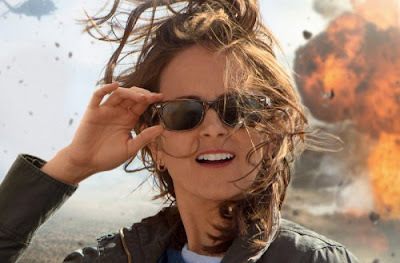 Whiskey Tango Foxtrot is scheduled for a March 4, 2016 release.